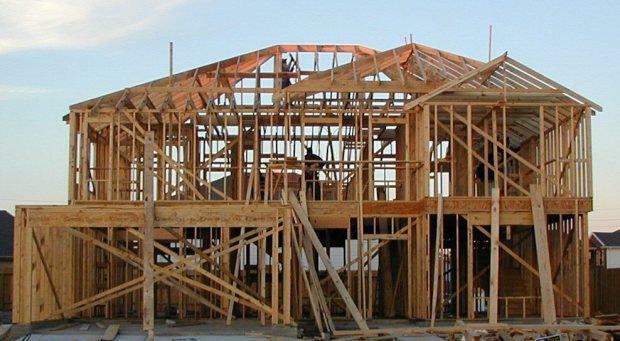 Economic forecaster BIS Shrapnel recently released its March Building Industry Prospects Report, with good news for homebuilders about the year ahead. BIS Shrapnel forecast that activity in the housing construction industry would continue to trend upwards nationally for the next 18 months. The bullish forecast is based on the assumption that the RBA will cut rates another 25 basis points in early 2015 and then keep them there until the second half of 2016. “We are forecasting further strong growth over the remainder of 2014/15 (+12%) to take national dwelling commencements to a new all-time peak of 203,550,” BIS Shrapnel said. The report said that the Attached Dwellings segment of the market, including apartments and townhouses, had been the prime driver of growth this year and that this was expected to continue into 2014/15, with a remarkable 16% growth. “High density commencements will continue to outperform the rest of the market, reaching over 50,000 new starts for the year, which is over double its average for the past ten years,” BIS Shrapnel said. The report said that detached houses had not experienced the same strength as the higher density segment of the market, but growth had been gaining pace. “After picking up 14% in the year ended September 2014 to reach 108,190 we are forecasting growth of 9% in 2014/15 followed by 2% in 2015/16,” BIS Shrapnel said. The report said that New South Wales and Victoria had driven growth, while Queensland and Western Australia had also performed strongly but would see growth slow over the forecast horizon. Momentum in New South Wales residential building activity looks set to continue with dwelling approvals and housing finance data providing a strong lead. In fact the December quarter 2014 approvals result was the strongest quarterly result since September 1994. Both detached houses and other dwellings are forecast to sustain growth over the forecast period, but coming off a lower base, detached houses will outpace the higher density sector. A further two years of growth will take total dwelling commencements in New South Wales to 56,650 in 2015/16, which will see it overtake Victoria for the first time since 2005. This record high will represent the peak of the cycle with activity then forecast to ease back over the medium term. Over the forecast horizon we expect to see total dwelling starts in Victoria post further growth in 2014/15 (+14%) as a number of identified high density projects come through the pipeline. This will push other dwelling starts to a new high of 27,450, before a decline sets in over 2015/16 (-11%). Detached houses will record more sustained growth to reach 32,200 by 2015/16. We are forecasting further growth of 12% in 2014/15, driven jointly by detached house (+13%) and other dwelling (+10%) commencements. This will take total dwelling starts to 39,650, which remains below the highs reached just prior to the GFC in 2008. From here activity will flatten in 2015/16 as a decline in other dwelling construction is balanced out by further growth in detached house starts. Leading indicators and a solid pipeline of identified apartment projects suggest that activity will be maintained at its current solid levels over the forecast horizon. Minor growth will continue into 2014/15 (+1%) before activity begins slipping back in 2015/16 (-2%) as a number of sizeable apartment developments fall out of the numbers. This will leave annual dwelling starts at a still solid 10,600, but with a lack of underlying demand for new dwellings this level of activity will have contributed to pushing the state’s dwelling supply into a moderate oversupply. A strong development pipeline will support further growth in 2014/15 (+11%) with other dwelling starts reaching an all-time high of 8,450, but from this level activity will begin to decline in 2015/16 (-10%). Both detached houses (-8%) and other dwellings (-17%) will participate in the decline.